VANCOUVER, Oct. 30, 2017 /CNW Telbec/ - NATIONAL Public Relations is pleased to announce the appointments of Patti Schom-Moffatt and Bob Paddon as senior counsels to its Vancouver office. 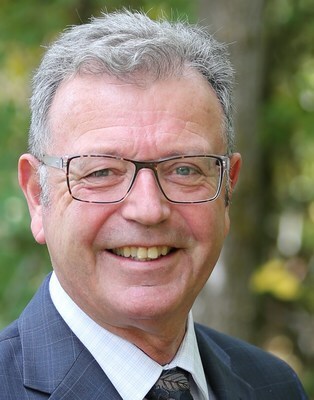 The appointments are the first undertaken by Paul Welsh since he assumed the Managing Partner position for NATIONAL's Vancouver office on October 16. "We at NATIONAL are thrilled to add Patti and Bob to our consulting team," says Welsh. "Both Patti and Bob have been at the centre of many critical issues facing leadership in infrastructure, energy, transportation, healthcare, regulation and regional governance. Patti and Bob have helped senior decision-makers navigate through complex terrain to successfully move business and program objectives forward." 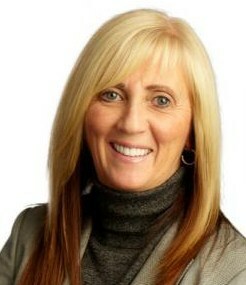 Schom-Moffatt is an accomplished Canadian entrepreneur who has served as a trusted communications advisor to senior leaders for more than 30 years. She founded Karyo Communications in 1983 and, along with Welsh who joined as co-principal in 1995, was responsible for growing the company to become Western Canada's largest full-service marketing and communications firm, leading to its acquisition by Edelman in 2007. During her time as co-General Manager of Edelman Vancouver, the firm grew to 50 employees and more than $8 million in annual revenues before her departure in 2015. Her client list is extensive. Of note, she is responsible for guiding the launch of the first LNG development proposal in B.C., Kitimat LNG, and for helping the company secure a landmark participation agreement with the Haisla First Nation. Paddon is a corporate executive with more than 30 years' experience in strategic planning, communications and public affairs. He has advised crown corporations, regional government and transportation authority boards. He was involved in the construction of the first Arctic pipeline from Norman Wells to Alberta; facilitated discussions in prairie provinces and the Arctic for Canada's first national environment plan (The Green Plan); helped establish B.C. 's environmental assessment law; and contributed to the creation of Canada's first transportation authority (TransLink). He retired from TransLink as Executive Vice President of Strategic Planning and Public Affairs in 2015. His contribution to the transit industry in Canada was recognized with the 2016 Distinguished Service Award from the Canadian Urban Transit Association. Both Schom-Moffatt and Paddon will assist NATIONAL in Vancouver with client mandates and business development, while continuing to serve their own clients through their individual consulting firms. The appointments are effective October 25. NATIONAL is Canada's leading public relations firm, servicing clients across a wide range of sectors, with offices in Vancouver, Calgary, Toronto, Ottawa, Montreal, Quebec City, Saint John, Halifax and St. John's. The NATIONAL network also includes NATIONAL Equicom, the industry's foremost investor relations and financial services communications practice; healthcare specialists AXON Communications, with offices in New York, Toronto, London and Copenhagen; Madano, a strategic communications consultancy based in London; and SHIFT Communications, an integrated communications agency with offices in Boston, San Francisco, New York and Austin. NATIONAL Public Relations is part of RES PUBLICA Consulting Group, and is affiliated internationally with public relations firm Burson‐Marsteller, a WPP company. For more information about NATIONAL, please visit our website or you can follow us on Twitter.